Other than “It’s gonna be big!” there’s not much of a consensus on how much “Star Wars: The Force Awakens” is going to make on its opening weekend, overseas, in China or whether it will challenge “Avatar” and “Titanic” as the highest-grossing film ever globally. We’ll start gathering clues on Friday, though there will be preview showings starting at 7 p.m. Thursday, when it debuts in North America. It’s also rolling out this weekend in every other major market in the world, except China. 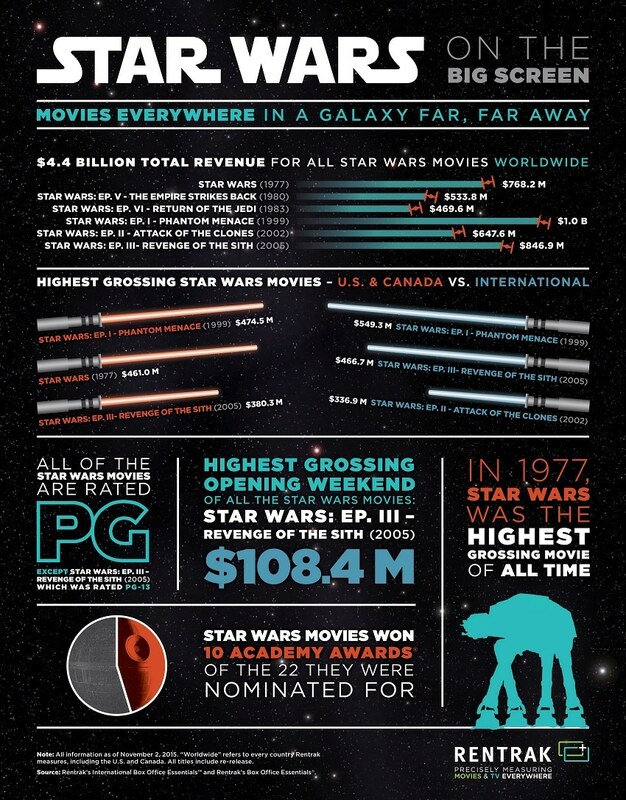 In the meantime, let’s take a look back at what previous films in the “Star Wars” franchise have done. 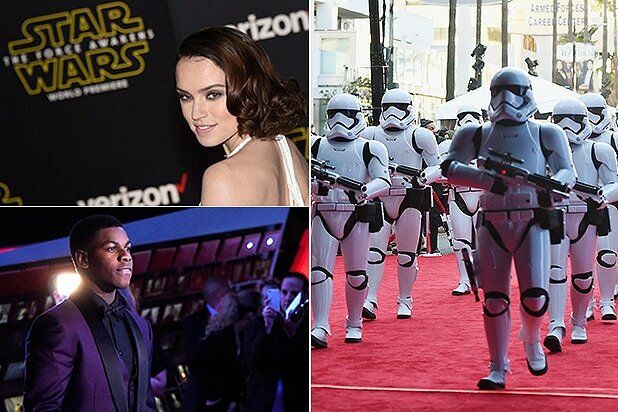 Nobody knows that realm better than the box-office specialists at digital data tracking firm Rentrak, which has been tabulating the grosses rung up by Han Solo, Luke Skywalker and the Empire since 1977, when the first film debuted. Here’s how the first six “Star Wars” films did at multiplexes over the years, with a dash of Academy Awards history thrown in to spice things up.